Hi beautiful ladies (and gents) - long time no "speak"! Between apartment hunting, moving, my birthday, Valentine's Day and two trips within a two week timeframe, it's safe to say the last month has been...well...busy. But I'm so happy to finally have a little breather to catch up with you all! 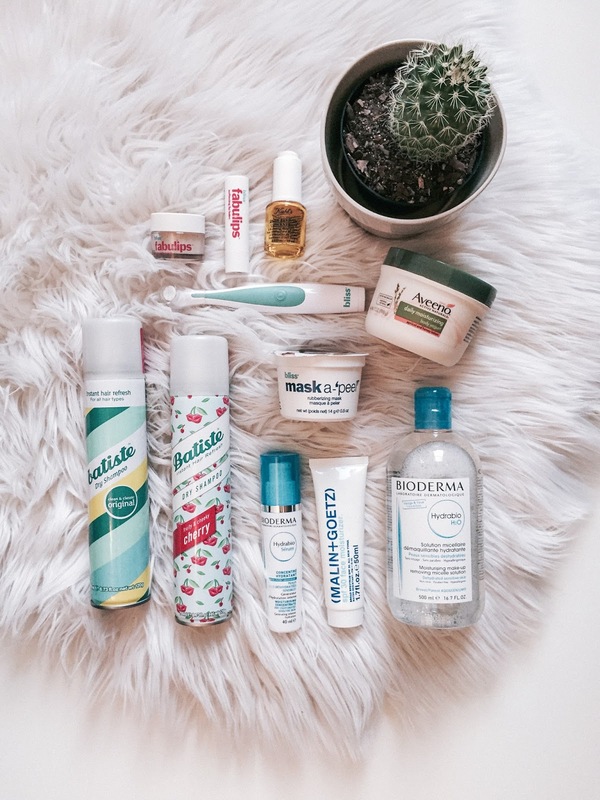 Today I'm sharing the skincare/haircare products that have been my holy grail this winter. Because, according to storm Stella, this topic is still very much relevant (spring, where you at?!). I don't know about y'all but, as soon as we near the month of November my lips go into this state of extreme dryness that's unparalleled. I'm taking Sahara desert here, people. Enter Bliss' Fabulips 'Pout-o-Matic" Lip Perfecting System! This genius tool gently but firmly scrubs your lips for you! Simply add some fabulips sugar lip scrub, hit the on button and BAM: gorgeously soft lips all winter long! 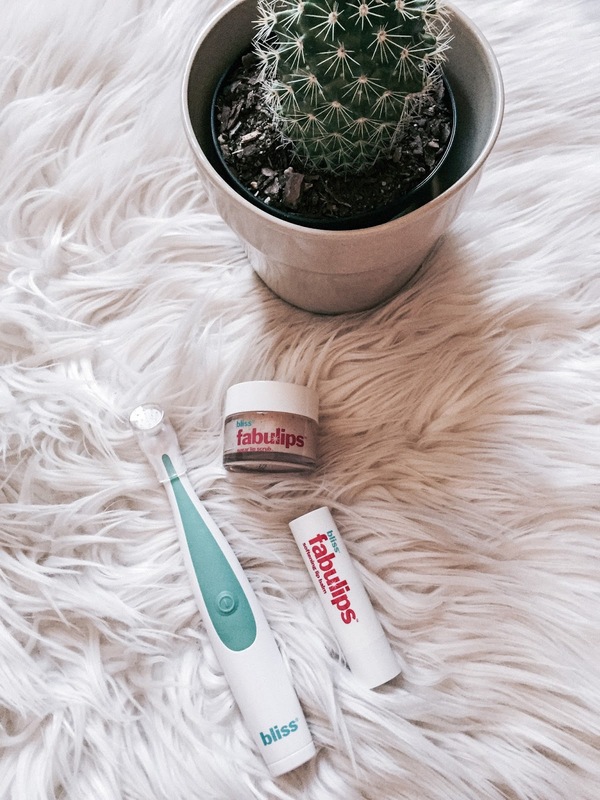 For extra smoothness, dab on a bit of the fabulips softening lip balm after scrubbing and you'll be smooch-ready in no time. Malin + Goetz spf 30 Face Moisturizer - protects from the sun and provides long-lasting moisture. Skin salvation in a bottle! Kiehl's Daily Reviving Concentrate - No joke, this thing gives your face the boost it deserves! I apply this right after my moisturizer, especially after a rough (make-up-filled) night out. Also, don't let the packaging fool you. That small bottle will last you a lifetime! Bioderma's Hydrabio H2O - cleansing and make-up removing water that literally quenches your skin's thirst. I use this every night to remove my makeup! 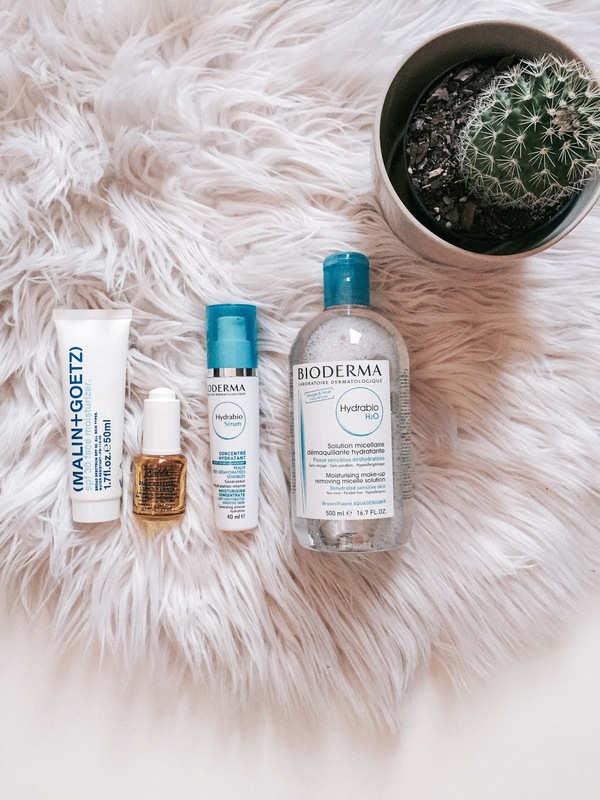 Bioderma's Hydrabio Serum - perfect for the winter months as it helps retain the moisture that naturally lives in your face. Also, while we're on the face theme, I highly recommend getting a facial at least once a season to keep your skin fresh and glowing! 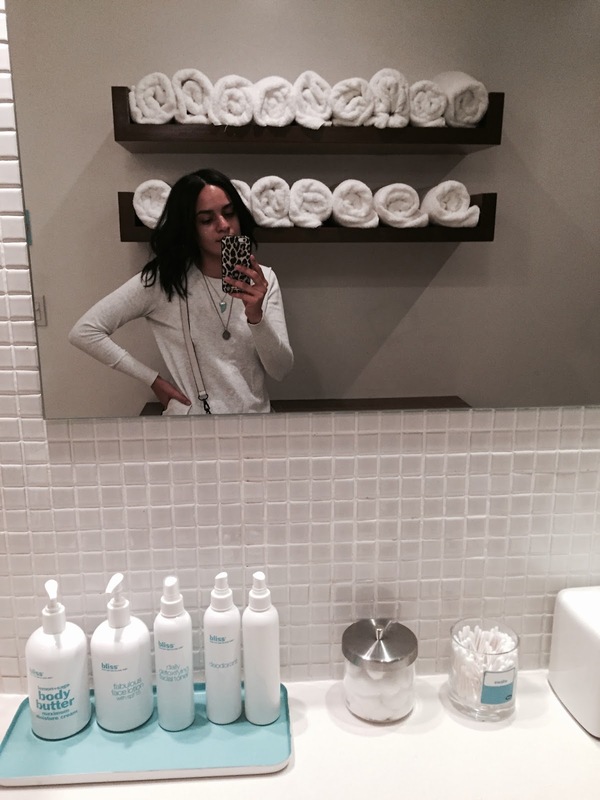 I got my winter fix at Bliss Soho, where Beata worked her magic with their Triple Oxygen Facial. It was seriously the best facial I've ever received y'all! And finally, couldn't forget about my locks! TBH, I could personally go a few more days without washing my hair in the winter time, as opposed to summer. Guess my strands are simply built that way. 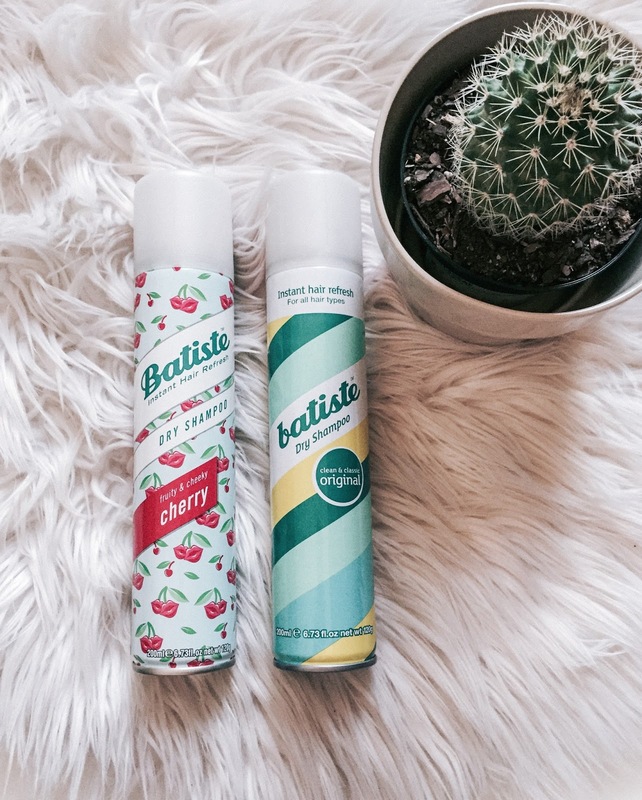 To get through that 3rd or 4th day, I tap into my go-to dry shampoo- Batise- and I'm good to go! I love how these goodies leave a sort of matte finish that's easy to work into any style you're craving! And that's all on my end, beauties! Now what about you? What have been your go-to beauty goods this winter? Tell me in the comments below!